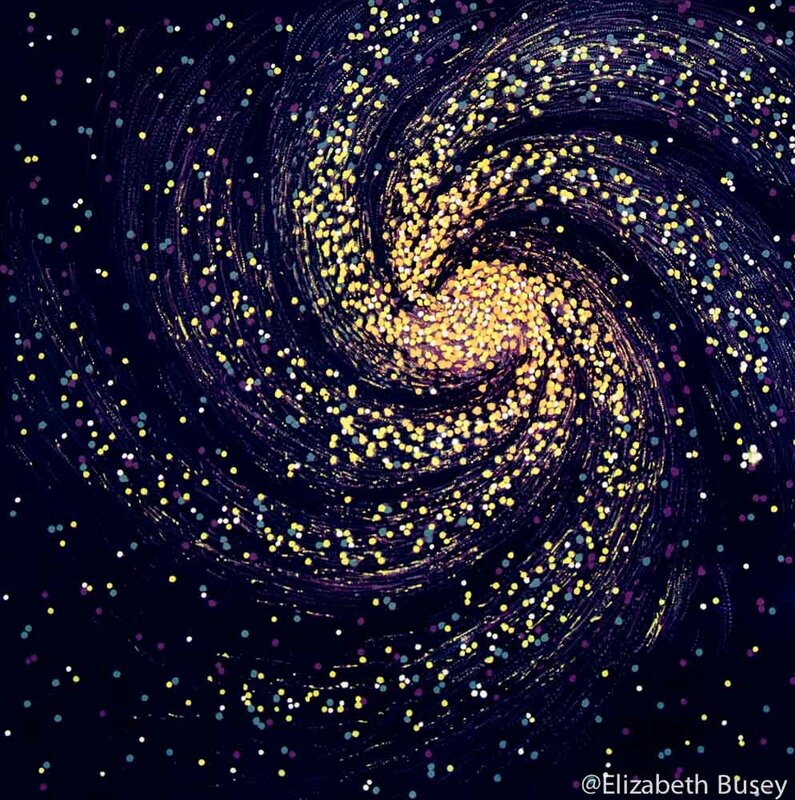 A swirl of larger and smaller light particles form our conception of the Milky Way Galaxy. Scientists theorize that the galaxy is a spiral shape, with a bar of brilliant light at the core. Reduction linocut on Rives BFK. Edition of 21.